When I saw the list on the Best Coast Pairings app, I asked if Connor wanted to swap opponents. This game was a foregone conclusion from the start and was unlikely to be fun for either of us. He didn't want to know, so I went through the motions of the game anyway. I won the roll off for deployment zone and set up my forces. I combat squad the Intercessors and put them on the objective on the right flank. I put two units of Bikers in front of them, with the third unit beside the Rhino on the left. 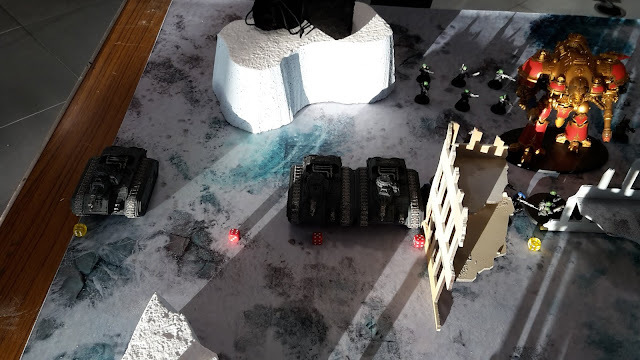 I put a Rhino and Razorback behind the ruins to my left, with the Missile Launcher and Heavy Bolter Kill Teams in the ruins. Connor put his Hellhounds on the right flank, with a Mortar team in the centre and one on the ruins to the left. The Castellan went in the centre, with the other two Knights on the left. The Infantry squads spread out to block my deep striking units. 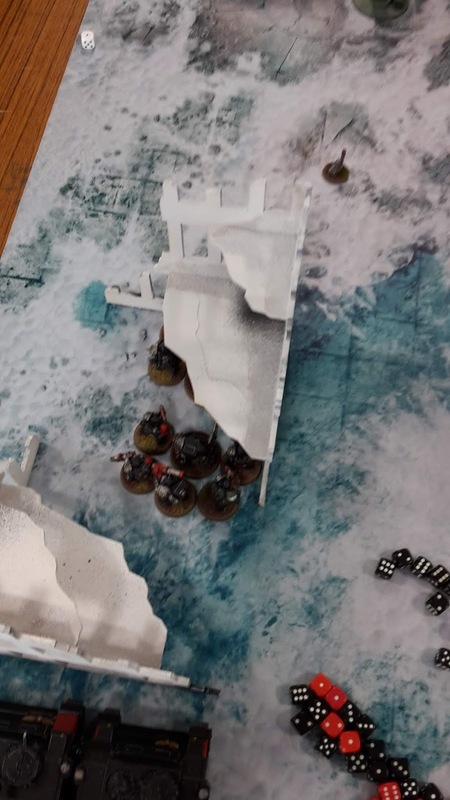 I lost the roll off for first turn and failed to seize the initiative. I used 2CP on prepared positions to help my Bikers hopefully stay alive a bit longer. The Imperial Knights advanced on the left flank, moving up on the Deathwatch. On the right flank, the Hellhounds advanced on the unit of Bikers in front of them. In the shooting phase, the Hellhounds opened fire on the Deathwatch Bikers. The first did four wounds, and I failed three 3+ saves, losing one Biker. The second fired on the Bikers, wounding 8 times and killing two more. The Crusader opened fire on the Rhino and the back unit of Bikers in front of it. The Thermal Cannon got 6 shots, hitting and wounding the enemy vehicle four times and obliterating it. One of the passengers inside died as they disembarked. 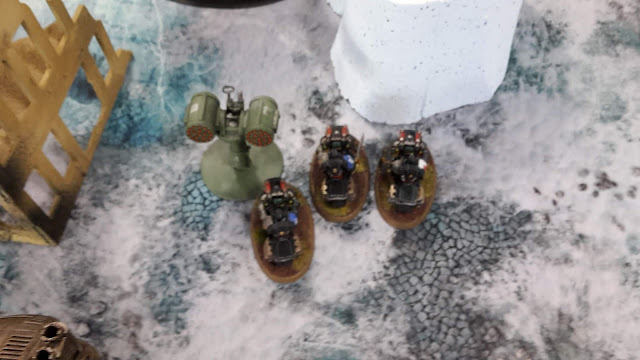 The Gatling Cannon managed to kill one of the Bikers. The final Hellhound targeted the newly emerged Kill Team, killing one of the squad. 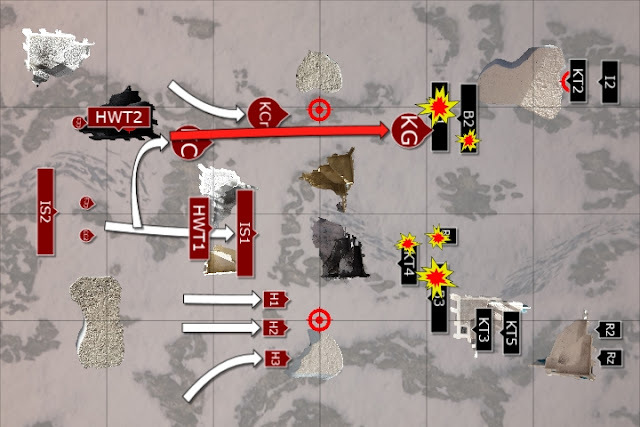 The two Mortar Heavy Weapons teams fired at the last Biker in the centre, wounding him 6 times, but failing to get past his armour. 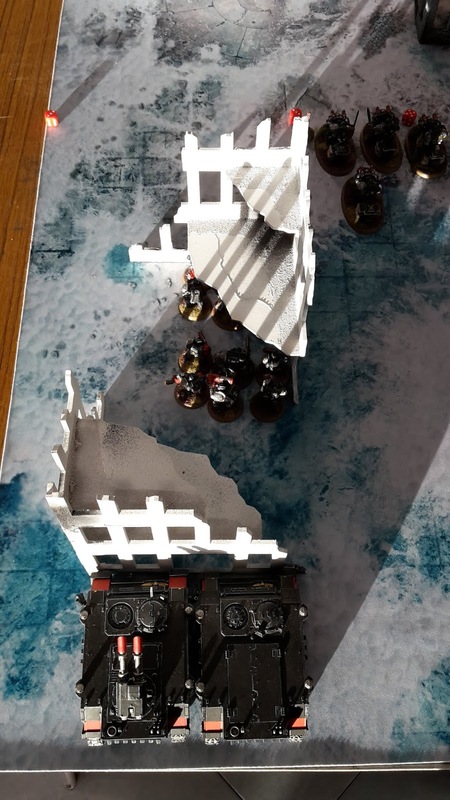 The Castellan opened fire on the Deathwatch Bikers. The lone Biker was slain, while the other squad was wounded 7 times. 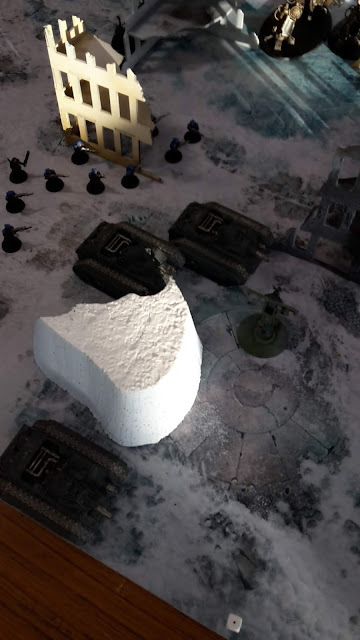 The Storm Shield of the Sergeant managed to block all the attacks and the squad survived. In the charge phase, the Knight Gallant made a 12" charge on the Bikers with a command point re-roll! 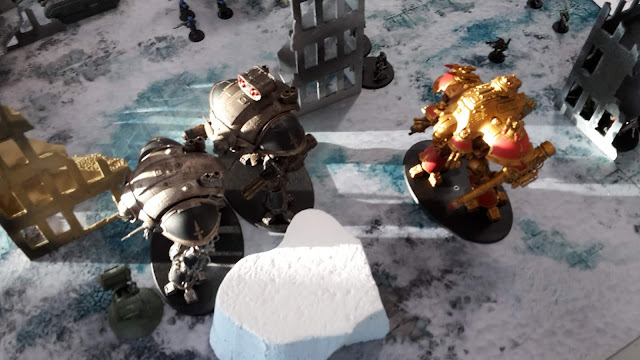 The Knight struck at the Deathwatch, killing off the squad. At the end of his turn, Connor scored three kill points, one objective point and first strike to give him 9 points. The Bikers on the right flank moved up on the objective. On the right flank, the Frag Cannon Kill Team advanced onto the objective. The Kill Teams in the back ruins moved up into firing positions on the Knights. For my mission tactics, I chose the Lord of War and Heavy Support tactics. In the shooting phase, the Missile Launcher Kill Team fired on the Knight Gallant. One of the four missiles hit, but failed to wound. 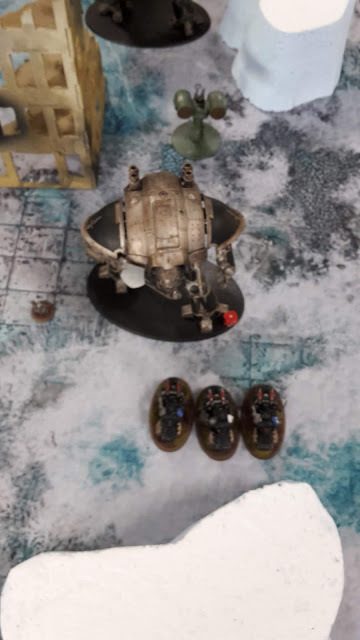 The Stalker Bolters of the squad managed to do a single wound on the Knight. The Razorback fired at the Gallant, hitting once but failing to wound. The Heavy Bolter Kill Team fired at the Knight, but did no damage. The Bikers fired at the Infantry Squad in the centre, killing six of the squad. The Kill Team on the left fired their Frag Cannons at the nearest Hellhound, wounding 6 times, but failing to get past their armour. 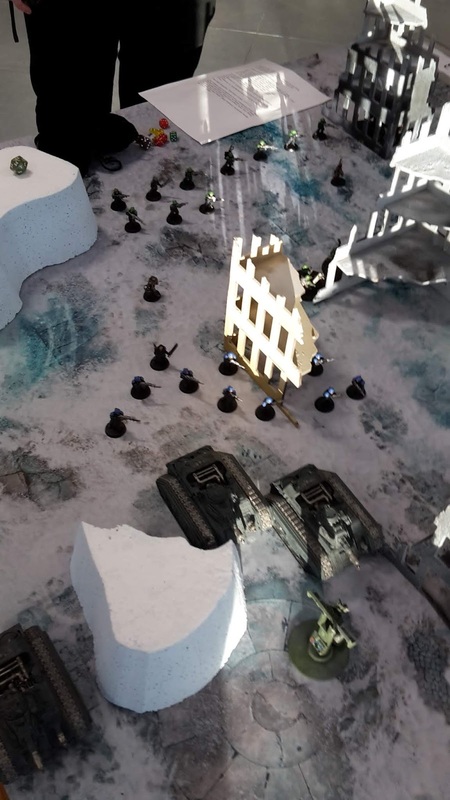 In the morale phase, the rest of the Guardsman squad fled the battlefield. 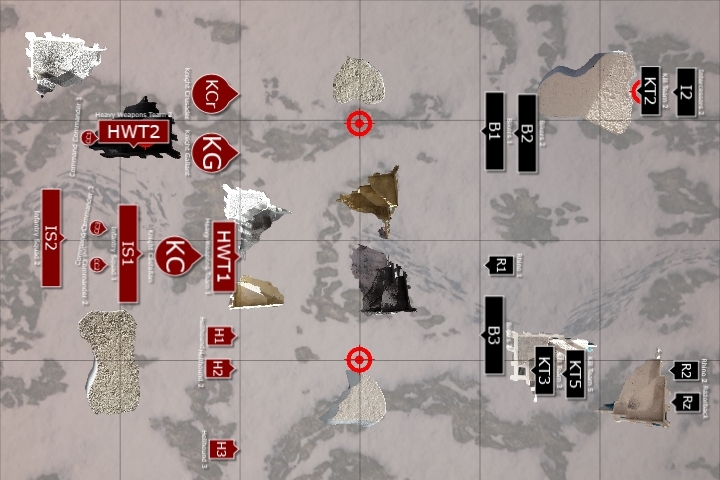 At the end of my turn, I scored one kill point, First Strike and got 5 objective points. At this point, I decided to concede the game. My first turn had been horrendous, doing a single wound to one Knight. If the game did not have kill points, I might have fought on, but my defeat was inevitable, so I didn't feel like prolonging it. I had already fought to the death against 3 Knights in the last game and didn't feel like going through the motions again. That went pretty much as expected. Any mission against Knights that involves kill points is going to be an uphill struggle for most armies, as there is an inherent imbalance between the two armies. I thought I would give it a go in this game, but the massive damage that the Knights did in the first turn, coupled with a successful 12" charge was seriously demoralising and put an end to the game. In the following turn, the Knight Gallant would have charged the Intercessors and wiped them out, consolidating onto the objective. I would not have been able to clear it off the objective for the rest of the game, so Connor would just be wracking up the points each turn, assuming I had anything left on the board at the end of his second turn. The tactic I used in the last game against the Castellan would not work, as I would not get the re-rolls to wound against any of the Knights in this game. I have a serious hatred of going up against Knights now. This one army has pretty much single-handedly ruined tournaments for me in 8th edition. With most of the armies that I play, I can barely deal with one Knight, never mind the 3+ that I always seem to come up against at tournaments these days. A toughness 8 model with over 24 wounds should not be able to get a 2+ armour save and 3+ invulnerable save, in my opinion. Many mono-build armies struggle to deal with Knights and they invalidate many units or army builds in the game. I don't want to have to bring my own Castellan or front load an army just to deal with Imperial Knights in every game that I play. 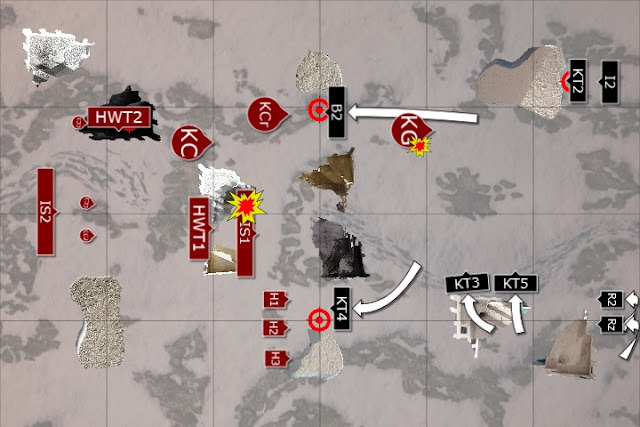 I like to run a balanced list that has a good firebase, some good mobility and can deal with vehicles and infantry in equal measure. Such an army is pretty useless against Knights. 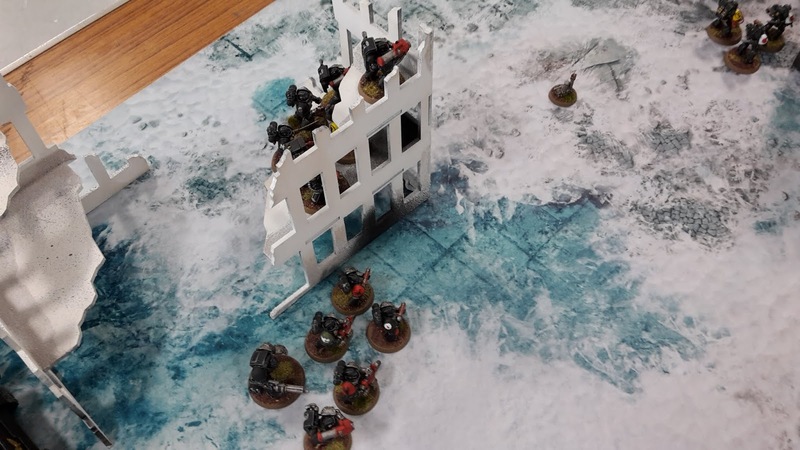 The best way to deal with them is in combat, and unless I want to run 3 Blood Angels Smash Captains, there is little in the Marine army that can take them on in combat with enough efficiency to win the game. 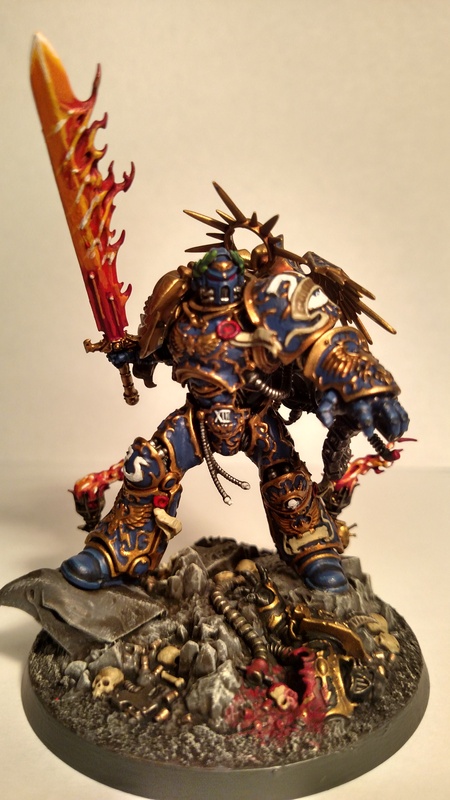 For me, Knights are 40k in easy mode. I don't think it takes much skill to win with them in most games. If your opponent doesn't have the tools to deal with the Castellan or Avenger Gatling Cannon Knight, they can just point at several units to eliminate each turn with little to stop them from demolishing the army over several turns. I really hope they get dealt with in the new FAQ, as they are one of the things that are seriously ruining the game for me. 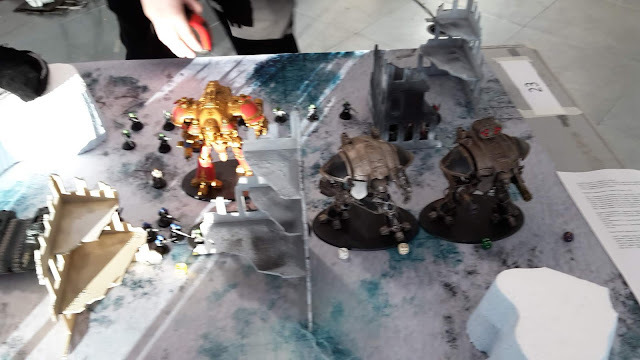 I used to enjoy going to tournaments to compete against different armies and players, but now it just appears to be getting stopped by Knights for at least one out of three games. I would perhaps like it more if the tournament mission formats did not favour them so heavily. With kill points and end of game objectives, most of my armies have no chance against them whatsoever. I would much prefer a maelstrom tournament, at least then I could have a chance to win on objectives. So, of my three games at the North East Open, one was fun and challenging and two were foregone conclusions before a die had been rolled. Unfortunately, this has been the way that the last few tournaments have gone for me, and have kind of soured me to going to any. I don't want to have to completely redesign my existing armies simply to be able to play a game against Knights and have even a slim chance of winning. Neither do I want to run soup lists simply to be able to compete and actually have an enjoyable game at a tournament. I'll be doing an army review for what little it is worth. 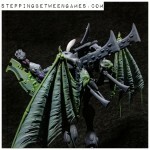 I don't think there is much to gleam from my experiences, other than my Deathwatch cannot deal with Knights. You're not alone in feeling this way about Knights, I'm sure! Hard to know how to fix it, though. 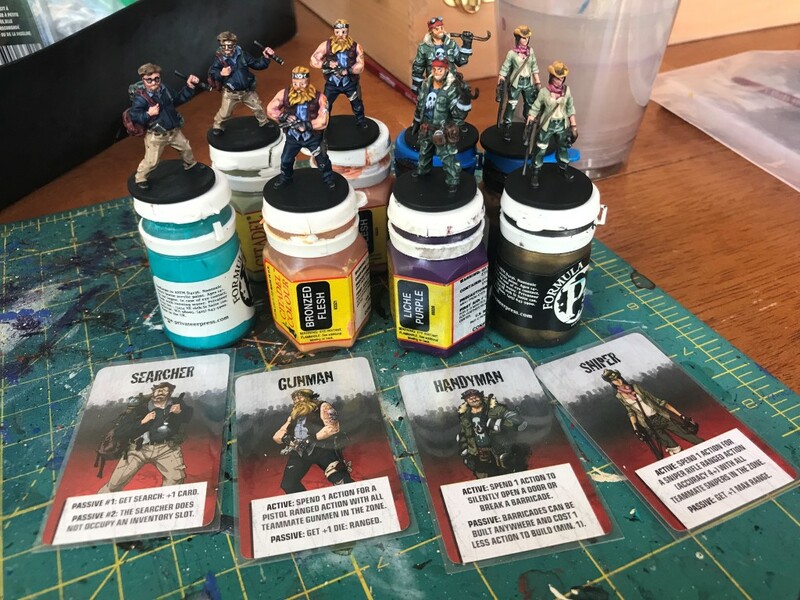 They are clearly entertaining to play as (part of the problem), they're a great model to own and paint and GW obviously enjoys selling them! I agree completely on their armour and invuln saves, that makes something already hard to kill virtually impregnable. 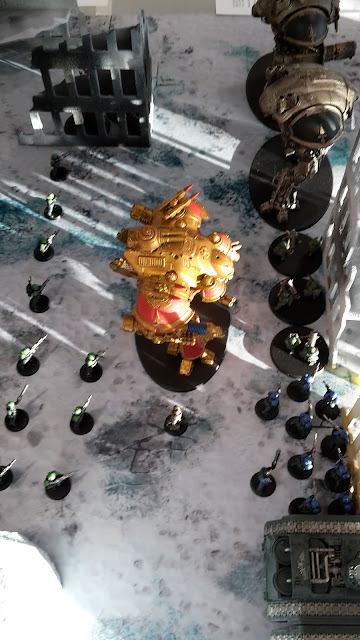 I'd see them go the same way as Flyers - entirely unable to hold objectives, and if there's nothing else in your army you can't hold the table. Hard to justify it from a fluff point of view, maybe, and it would certainly anger a lot of Knight players! But it might redress the balance a bit. Otherwise you'd want to see equivalent options made readily available to all armies. Most other armies have nothing that's non-Forge World, for example. I'm not sure what the solve is either, other than a big points increase. If they get ignored again in the big FAQ and errata, I will not be happy. It's hard to know what to do, as many casual players like running their Knights and you don't want to punish them for what is going on at tournament. However, even in casual games, I hate going up against Knights, as they are such a pain to play against. Sorry to hear about the tough match ups for you. Knights are causing a bit of an issue at the moment. I played one the other week and couldn’t do anything about it. 1. Is it a knight issue or a “soup”. If they used mono-codex would knights still cause an issue? 4. Game size. Is 2k too many points for matched play? 3. Events are happy to use their own mission, why not say this must be a mono codex event? 4. Is there anything you could have run differently in your list? It was likely you would face an knight list were you prepared for it? 5. 2k for events is too many points. Games take too long so unlikely to get to turn 5-7 and 2k allows you to cover all your bases in your army. 1750 or even as low as 1500 makes army selection a lot harder. Would knights work as well at 1500? 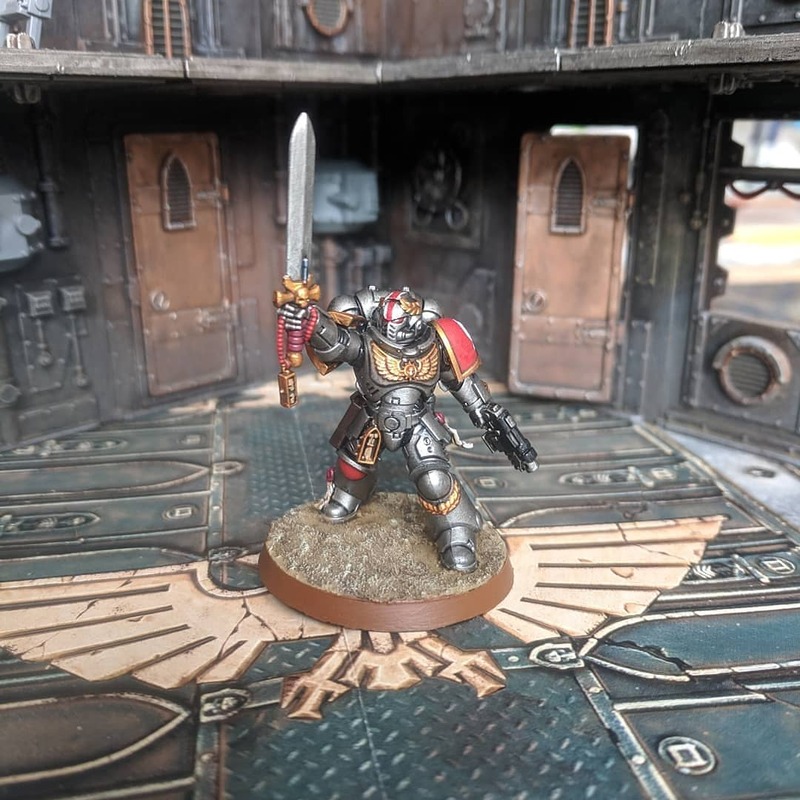 I think Deathwatch struggle to deal with Knights in general. They don't have cheap anti-tank options on their infantry (only missile launchers and meltaguns), all the Lascannons are on vehicles, which are easily taken out by the Knights. They can do a bit better in combat, but only with the Smash Captain. The terrain also didn't help a huge amount. There was plenty of line of sight blocking for infantry and regular vehicles, but the height of the Knights meant they could see over most of it. I think Soup helps the Knight armies, but there are still incredibly strong on the tabletop. Especially with kill points and end of game objectives as the only victory conditions. Yeah, Knights are frustrating. On the one hand, I really like them, because big stompy robot battle suits are cool, but on the other hand, they horribly distort any attempt at remotely competitive play, and just completely invalidate huge swathes of Units and Army lists. I really don't know what to do about it at this point, since the genie is out of the bottle, and any nerf that's sufficiently strong would probably hurt GW's sales significantly as well. True. You don't want to see them nerfed into oblivion, as people spent time and money on them and want to play them. However, I just don't think they are fun to play against at all. The main times they're fun to play against are when it's Knights vs. Knights, or when it's a prearranged narrative game, probably with some House Rules. They needed a points increase in CA but nothing happened and we still see them everywhere. 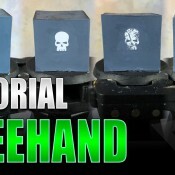 Agreed, the Castellan is ridiculously cheap for what it can do. It pretty much invalidates running vehicles or monsters in most armies, as they will just fall in the first turn. I've read and heard quite a few people complaining about knights and to be honest, quite a few of them just seem to be blaming knights for there own poor play or tactics. I've followed you for long enough to know that this isn't the case here, although I do have to question throwing in the towel at the end of turn one. To me it shows a lack of commitment but I also agree with your assessment of the situation, there was very little you could have done to avoid a tabling. For me, knights need a price hike, they are under costed and over powered right now. 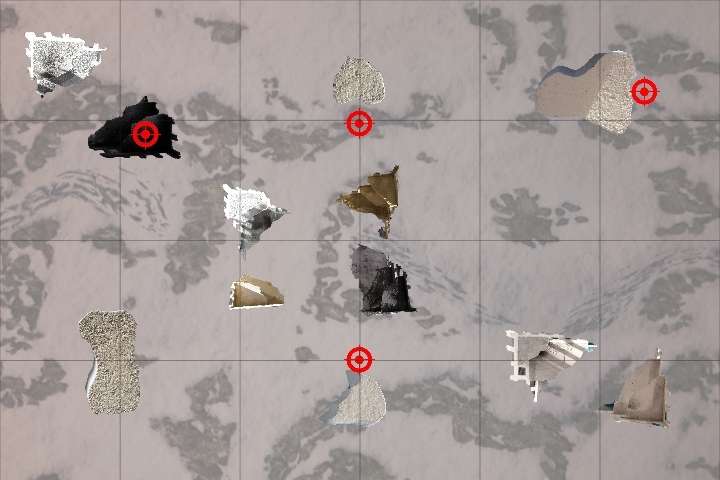 Kill points are also a problem and something I don't like in games. Kill points can unbalance a game considerably, as there are very few occasions that I can think of where both players have had the same number of units. Most games where I run my guard infantry list, I outnumber my opponent around 2 to 1, sometimes even more so and as such favours my opponent. Unless there is some serious changes, people will continue to run knights in numbers, as they win games. Any idea who won this and the last tournament? Was it a knights list or not? I'd be interested to know. I really hope that the next tournament you go to you have better luck with your opponent's armies, as much for the battle reports as for your own enjoyment! Yeah, I did feel a bit bad about conceding in turn 1, but I was going to have very little fun in just removing the rest of my army from the board in my second turn and having no hope of winning the game. 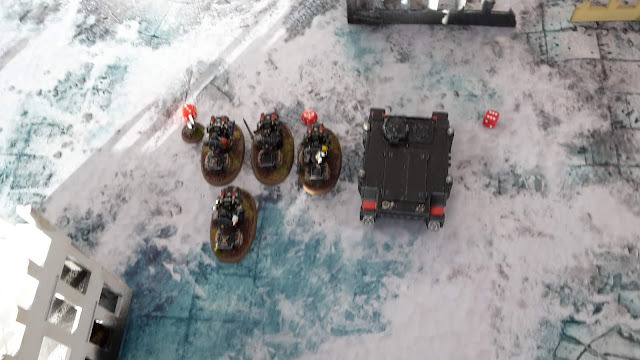 The tournament was won by a Deathwatch and Astra Militarum army. He faced the double Castellan list that I played in game 2. However, as I will discuss in the later post, the only reason he won was that his opponent decided to concede on what was a very close game in order to gift him the tournament win. That didn't sit right with me. Yeah, I remember you mentioning that on facebook. I'm not one for conceding at all, I feel you should always play out games but I can see why you would concede when you did, it definitely wasn't going to be a fun game. Conceding when your on top table is another matter entirely and a very poor show as far as I'm concerned, even if it was done to be gracious to your opponent. Nail in the coffin for 40k tournaments? It really is a shame. 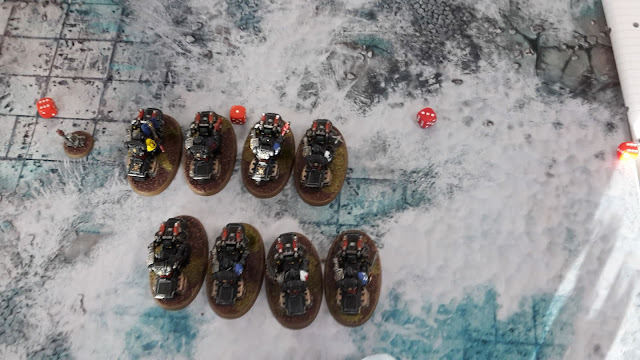 I enjoy going to tournaments to play new opponents and have some tough games of 40k. However, there is a big difference between a tough game and an impossible to win game. Unfortunately, I seem to be ranging into the latter much more than I would like at recent tournaments. I did come armed for Knights, or so I thought with my list. I had the Lascannons, missile launchers and Meltaguns in the various squads. The problem is that Deathwatch don't have the most points-efficient anti-tank weaponry. The infantry cannot access Lascannons, they are only available on the vehicles. In addition, single shot anti-tank weapons are not the best to deal with Knights. Against a 3+ invulnerable save, you are essentially losing two thirds of your successful wounds, so you need a ton of firepower to stand a chance of taking them out in a single turn. This is very points inefficient for the Deathwatch (or Marines in general). 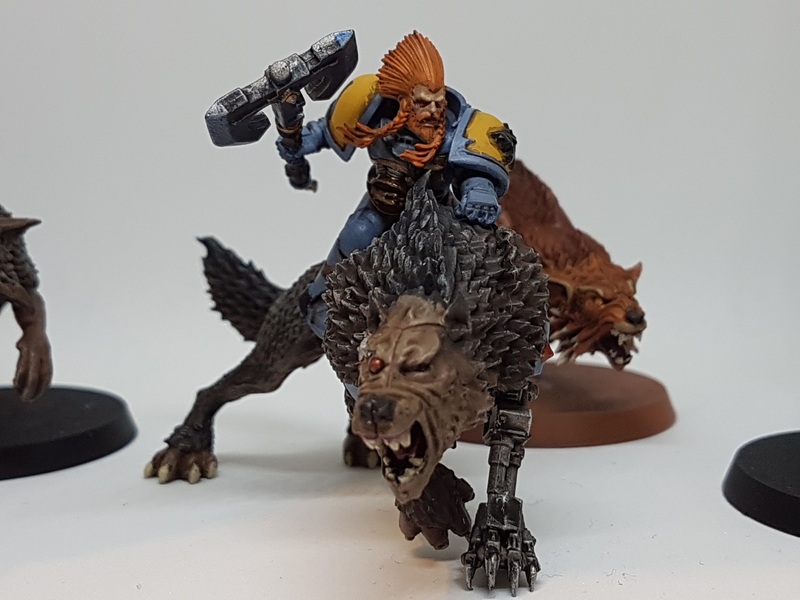 The Storm Bolter/Storm Shield units are very strong. Unfortunately, against Knights, you are only wounding on a 6+. One unit gets to use the stratagem, but even wounding on a 5+ you are struggling to do much damage. More storm shields on the squad would be a good idea, giving you better survivability against the weaponry of the Knights, I just haven't had time to paint them up and add them to the squads.